YouTube is filled with astounding music videos and newly released singles. And if you are keen enough to find things, rare and exclusive audios are moreover available. Though, to be able to listen and watch videos, you always need to be connected to the internet. To save both time and money, downloading music contents and transferring them on your portable media device is the best way to deal with instable internet connection. With this, listening to popular audio contents conveniently and practically has been made possible by means of offline entertainment. However, it is not easy to download music files on YouTube especially if they are placed in a playlist. To be able to download YouTube playlist to mp3, you will need special software and desktop applications. Continue with your reading and discover efficient tools that will help you capture playlist content from YouTube. The first impression of this software will make you think that is only capable of downloading YouTube playlist. 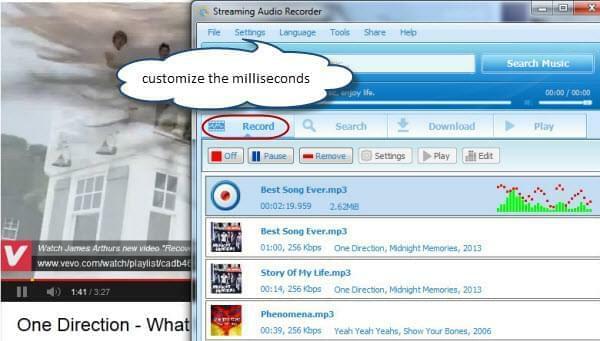 Though, Video Download Capture similarly works as a smart converter that can turn playlist to mp3. With this desktop application, you don’t need to capture each video one by one or modify files individually – everything can be done in batch. See the instructional guide below on how to convert and download YouTube playlist mp3. Download and install the latest version of Video Download Capture on your PC. Copy the exact URL of the YouTube playlist you want to download. Paste the URL on the space provided, and click “Add to download”. Select “all” to download everything or check individual files for selective capturing. Choose your desired video format for downloading. After downloading, select all the videos you’ve just downloaded. Start conversion and wait until the process completes. Install the latest version of the software on your PC. Run the program and hit the “settings” tab. Select “record settings” then check “automatically split when the silence is more than (your desired) milliseconds”. To be more precise, customize the milliseconds according to the pause of the video. Create a YouTube playlist autoplay. Hit the “on” button to start recording high quality MP3s. 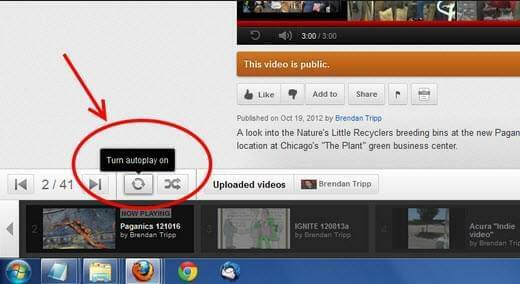 As it mentioned above, you need to make YouTube video autoplay while recording YouTube playlist. The autoplay feature of YouTube makes watching and listening to music videos more convenient than ever. With this add-on, you don’t need to manually search videos and play them after another. All you need to do is to arrange them chronologically and the music will play continuously. See below for how to make YouTube plays automatically. Make sure that you have a YouTube account, signing up is free anyway. Sign-in to your account and search the videos you want to autoplay. Open the video by clicking it and then hit the “playlist” icon located underneath. Select “add new” – “add” and name your playlist accordingly. Just repeat the process for each video you want to automatically play. Go to your username located on top of the screen and head on to “playlists”. Arrange each video by clicking the number under the “position”. To begin watching or listening, simply hit “play all” or “stop autoplaying” to pause. Creating autoplay is important for those who wish to convert YouTube playlist to mp3 because some desktop application requires it. On the other hand, if you’ve got all the videos sorted chronologically, hitting the “+” sign on the clip will automatically add it on your quick list. A quality YouTube playlist to mp3 converter is a must if you want to capture top singles, whole album songs and prepared list of audios. With these tools, there’s no need to manually download and convert each video, letting you save tons of time as well as effort. From free desktop applications to premium software, the decision is yours and that truly depends on your needs. @Helen, thanks for your question. Video Grabber and other similar web-based tools can grab a single YouTube video to any formats you like. But what if you want to convert the whole YouTube playlist, you need to download and convert the URL one by one. So I guess the best bet is to make use of software programs.